Typically, I come up with a writing prompt for Fridays, but I am taking this week off. 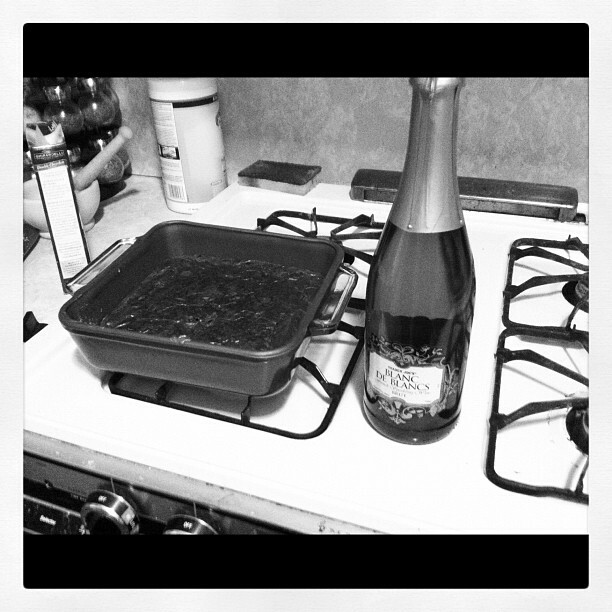 The picture above is a tin of brownies and champagne to celebrate…my new internship! Starting Monday, I will be interning with one of the “big six” publishing houses in an editorial department! So, go out and enjoy the weekend! Also check this out, a poem for the G Train (which is “my train” here in Brooklyn).